When I was pregnant with our first baby, I conducted some extensive research into cloth diapers. That whole Reduce, Reuse, Recycle campaign that began in the ’90s really struck a cord with me, and I’ve been environmentally-conscious ever since. And even though there were very few cloth diapers to choose from at that time, I was committed to using them. There are plenty of options to choose from today and many reusables having patented designs to prevent bothersome leaks. 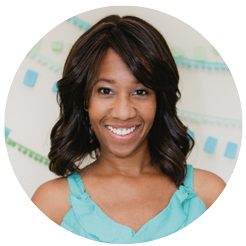 Another upside of cloth diapering is that eco-conscious mamas can pick and choose covers with liners to create the perfect fit for their babies. The first thing to know is that cloth diapers aren’t all the same. Before narrowing down the brand that’s best for you, you should know the categories you’re comparing. Flat and Pre-folded: These cloth diapers have the most old school vibe and involve the most work. But their super-low price point will give you good vintage vibes. Hand towel-sized cloths are flat or folded and need to be folded to fit the diaper cover, then clipped into place. A separate waterproof cover is the last piece of the equation. Gerber (shown above): These basic, organic cotton pre-fold diapers are economical and easy to wash.
Pocket Cloth Diapers: Liquid-absorbing liners slide into pockets inside of waterproof liners. Position the liner more toward the front or back of the cover to fit your baby best and absorb the most. BumGenius (shown above): This company’s been making pocket style cloth diapers for years, but they’ve recently added sizes for larger kids to accommodate older bedwetters and kids with special needs. 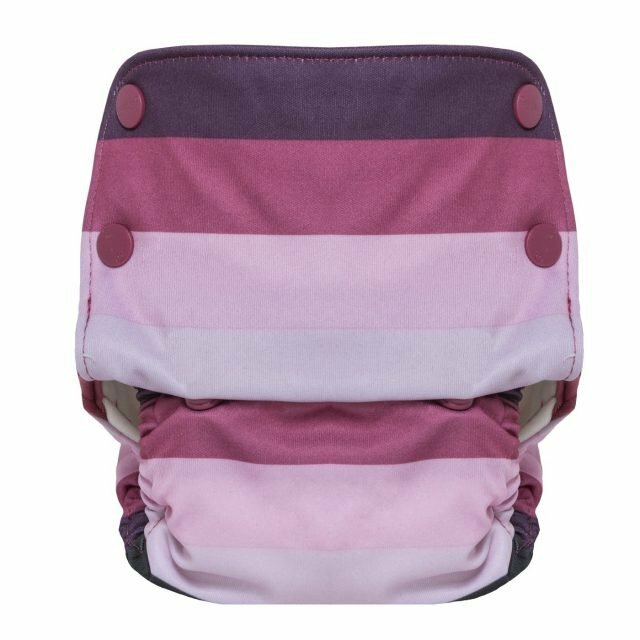 Rumparooz: Choose from snap or hook-and-loop closures for this pocket diaper that grows with your baby from newborn to potty training. Fitted Cloth Diapers: Elasticized leg openings and an adjustable waist make this cloth diaper a great fit for baby bodies of all types. You’ll still need a separate waterproof cover, but you can change the dirty cloth diaper and reuse the cover. Baby BeeHinds: These fitted diapers are made of renewable bamboo or hemp. The choice is yours. Hybrid Cloth Diapers: These diapers have a waterproof outer layer and a snap-in liner. 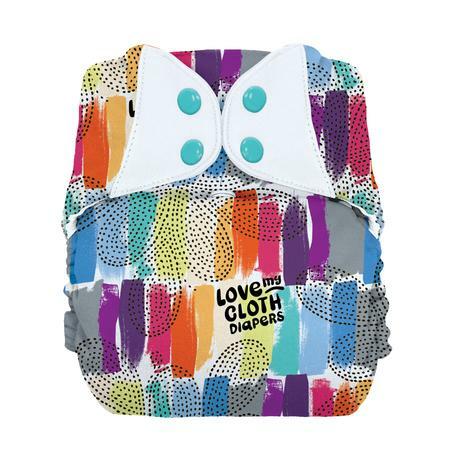 Stock up on liners, and you can simply attach a new one to the exterior layer while the soiled one is in the wash.
Charlie Banana : There’s no shortage of colors and patterns available in this line of hybrid cloth diapers. Three-pack packages make it easy to build a cute collection. All-in-One Cloth Diapers: The name says it all. These cloth diapers have a waterproof cover and cloth liner that both can go right into the laundry pile. There’s no need to fold the liner, insert anything into a pocket, or switch liners. These are the ultimate in cloth diaper convenience. GroVia (shown above): These are the only diapers that feature certified organic cotton. They’re also the only cloth diaper that are trim enough to fit in your baby’s skinny jeans and jeggings. They’re the perfect choice for parents who crave convenience that jives with their eco-friendly conscience. Smart Bottoms: Organic, unbleached cotton inserts for your sensitive baby’s delicate skin.